There are several ways that these textile images can be printed. We can have stencil printing, offset printing, inkjet printing etc. These days an emerging and revolutionary technique of printing is coming into the picture which is 3D printing. 3D printing may be defined as an additional process which makes a 3D solid object from a digital file. In this successive layer of material is laid down on a surface and the 3D object is then created. These layers represent thin layers of the slices object that needs to be created. The technique is opposite of subtractive process. 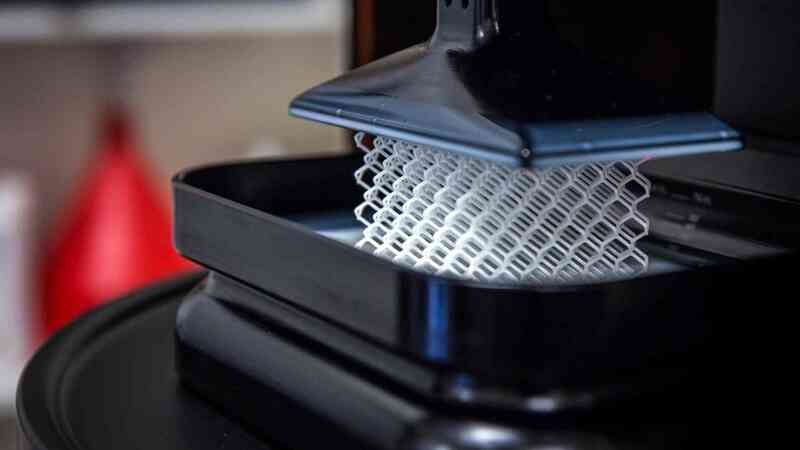 Through this technique we are able to produce complex objects that are anyways not possible to be produced by any conventional printing process. The process starts with creating a template or sample file which is in digital format on your computer using software such as CAD (Computer aided design). With a 3D scanner we can create a digital copy of the object. But these 3D scanners are expensive. The first step is creation of 3D model before we get a 3D print of it. This is called as slicing. The process of slicing means dividing a 3D model into number of horizontal layers and this can be done using slicing software. Once the 3D model is sliced, it can be fed to our 3D printer using SD card, Wi-fi etc. So in short there are three basic parts, a digital file, printing file and printing material. Digital file: it basically instructs the printer what and how an object needs to be created. The object is sliced and every dimension is described with great accuracy. This file is then uploaded into the printer. Printing machine: it replicates the layers that are described in the digital file. The machines employ nozzles or lasers to lay down these materials and then allows it to set or cure over the time. Printing material: the printer extrudes the printing material. Typically the object is made of single material, but it can also be made with different substances. ABS plastic is the most common one. Use of silver, gold, ceramic materials is also there. The material suitable for this process depends on its use. It is used where high strength is required. Materials include carbon, fibreglass, etc. It allows optimization for the print in accordance with its strength, stiffness, weight and temperature resistance. It is designed to imitate engineering plastics by combining strength with high temperature resistance. It provides high surface finish. Also provides high shock absorption capacity with high impact resistance. it can create high and tough engineering tools. Various kinds of metals like aluminium, steel and their alloys are used for this. They are used in the powdered form. Cobalt, chromium and bronze are also used. Many Car Manufacturers including Formula 1 racing teams and companies have been using 3D painting for testing, prototyping and thereby designing custom car parts that are used in the races. Similar to that a Swedish car manufacturer namely Koenigsegg has used 3D printing to manufacture the variable turbocharger for their One : 1 model. Interesting thing to note is that the fully metal part is not only light in weight, but can also endure the brute force of hypercar combustion and demanding racetrack conditions. Organ transplant and regeneration is something new in today’s time and doctors are making the best use of technology to drive this concept to a higher level. That’s why they are making use of 3D printing. Through 3D printing, new organs can be created like ear, kidney etc and this takes merely 4-6 hours. the organs so created using 3D printing, uses the cells and tissues of the patients themselves so that body does not face any problem accepting the cells as compared when it would have been created using artificial or synthetic ones. Hearing aids can also be made through a simple click of a button. Various edible decorations for cake and other food products can be successfully made using this. 3D printing is used for making parts of an aircraft such as air ducts. This technology replaces complex assemblies with a single part that is lighter than previous designs, saves weight and boosts a jet engine’s fuel efficiency by up to 15%. In the end we can say that 3D printing is a futuristic concept. It is used in several countries like the US and is slowly emerging out. It is a really useful technique which can be effectively used to reduce the work load and at the same time can be used to make almost anything. I believe that writing is the best way of expressing your thoughts and feelings. It's the most beautiful way of expressing what you cannot convey through speaking and that's what make me crazy about writing.